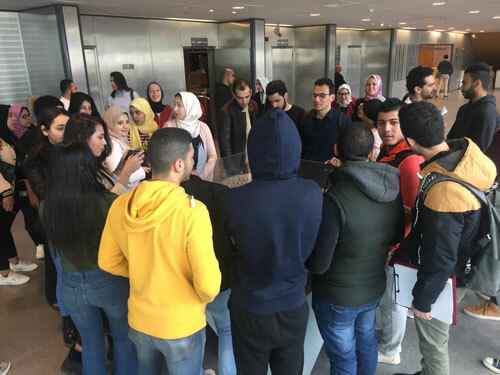 Under the auspices of Prof. Ramdan Abd-El Maksoud, the Head of Architectural Engineering Department, a field trip was organized to Bibliotheca Alexandrina on Tuesday 27/02/2019. The coordination of the trip was managed by Prof. Abrahim Maarof, Prof. Reham Ragheb, Prof. Maha Abd-El Waheb and many teaching assistants. The students visited the Bibliotheca Alexandrina for three hours where they learned about the different units, spaces, functions of each space, the historical background of the Bibliotheca Alexandrina and the reasons and phases of the designs of each unit. They also took photos and wrote some notes. 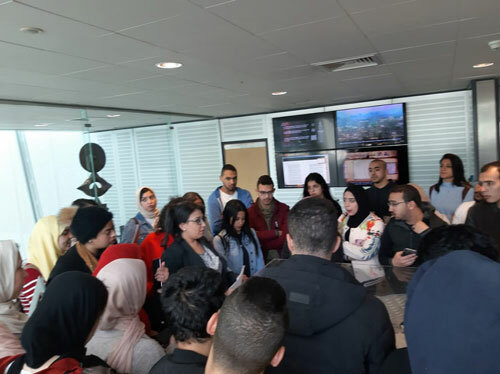 The academic staff members who went in this trip in company of the students underlined the importance of studying the different units and spaces of the Bibliotheca Alexandrina and asked the students to submit a report about this visit the following week.